Where history and natural heritage combine! On 27 July 1689 the first shots in the Battle of Killiecrankie were fired – one of the goriest battles in Scottish history. From leaping soldiers to leaping salmon, this rich historical conservation area cleaves a pass where the Highlands meet the Lowlands. 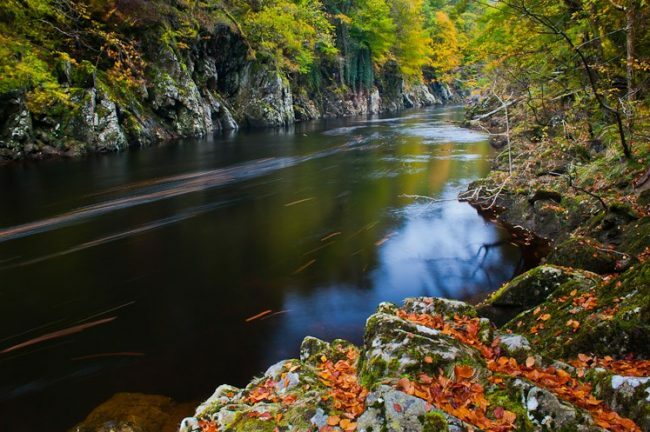 The River Garry flows along the floor of a magnificent wooded gorge, where the tree-lined slopes are home to a variety of wildlife, flora and fauna. However, the Pass of Killiecrankie hasn’t always been a haven of peace and tranquillity. Discover the lucky Redcoat soldier’s 18ft leap. Find out about the geology, wildlife and history at the visitor centre, then follow the paths to explore the Pass. The views are breathtaking – a perfect place to contemplate nature and the past.